I like using the Run command on Windows to start other programs such as msconfig, regedit, and cmd. I find using Run faster and easier than clicking through the program menu. However, after I upgraded to Windows 7, one of the first things that I noticed was that the Run option on the Start menu was missing. I need it, so I had to find out how to make it appear. Right-click the Windows icon (used to be Start button in older versions) on the bottom-left corner of the desktop. Click Properties. 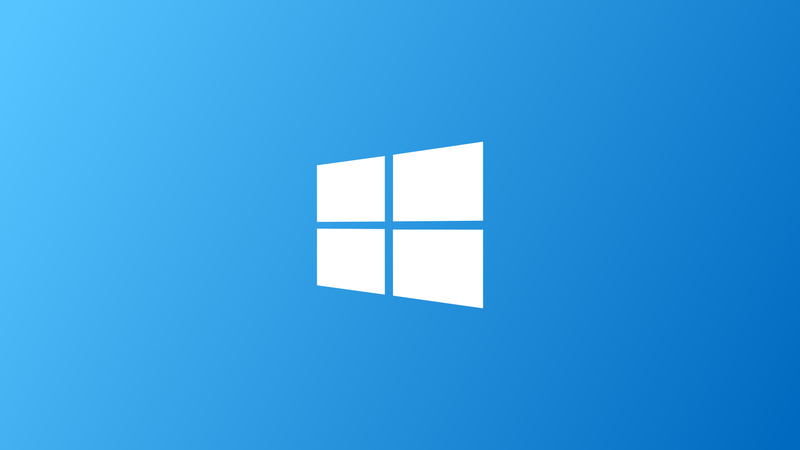 The Taskbar and Start Menu Properties window appears. On the Start Menu tab, click Customize. The Customize Start Menu window appears and displays a list of options in alphabetical order. Scroll down through the options until you see the Run command option. 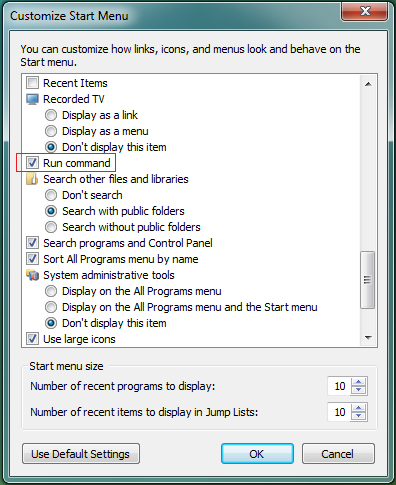 Click the Run command option, and then click OK.
You have completed enabling the Run option on Windows 7. It should now be visible from the Windows menu.